The Workforce Development Institute (WDI) is offering scholarship opportunities for the 11th Annual Safe Patient Handling Conference. WDI is a statewide 501(c)3 non-profit that improves the lives of people across New York State by developing and supporting programs to enhance worker skills and ensure worker safety. WDI has recognized that this conference provides a vital opportunity for health care workers and strategic personnel to come together to learn new strategies and applications related to patient care and worker protection. As such, WDI will provide scholarships to front-line health care workers to ensure those who are interested have the opportunity to attend. Those interested in applying should complete and submit this application. 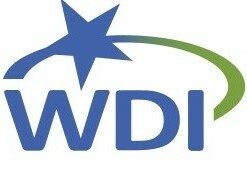 Those approved for WDI scholarships will receive a confirmation email and registration code. Do not register and/or pay before receiving the confirmation code. Refunds will not be given. State CSEA Members - CSEA is pleased to announce that NYS/CSEA Partnership has approved funding for the conference. Click here for a copy of the application. IMPORTANT: Please be aware that your registration is not complete until all steps listed in the instructions have been completed. Applicants should not consider themselves formally registered until all information, signatures, and fax confirmation have been verified and an email confirmation from the Partnership has been received. Note: If you are interested in applying for a scholarship or expect to use negotiated funds for your registration fee- DO NOT REGISTER AND PAY FOR THE CONFERENCE ON YOUR OWN. YOU MUST USE A REGISTRATION CODE. REFUNDS WILL NOT BE GIVEN.